A biographic post-war drama set parallel to the Iraq war and allied crisis, the film follows the life of Chris Kyle (Cooper), a navy SEAL. Growing up in Texas, Kyleai??i? ?s life is entwined with cowboys and ranches until he signs up for SEAL training, post the US embassy bombings (1998). But nothing prepares him for his assignments in Iraq, where he is thrown into a moral conundrum as his targets include women and children. With the horrors of his wartime memories haunting him, will he succeed in returning to a normal life? 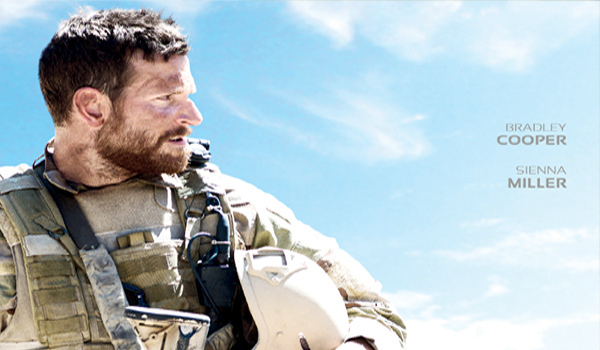 American Sniper marks the first collaboration between Bradley Cooper and Clint Eastwood. George (Riggs), a little boy growing up with his brother and mum, adores his grandmother, Mercy (Knight). Kind and loving, Mercy plays an instrumental role in supporting the family, until one fateful day, when she falls down and suffers a stroke. When several strange incidents take place in and around their house in the following days, George decides to investigate along with his brother. But what they discover scares and startles themai??i? ?a side to their loving grandmother theyai??i? ?d never known. The film is adapted from Stephen Kingai??i? ?s short story, Gramma. play the role of Mathilde Beaulieu. Philippe Petit (Gordon-Levitt) is a struggling street performer in France who earns his living with his tightrope walking acts. When he comes across pictures of the (erstwhile) World Trade Centre for the first time, he makes it his lifeai??i? ?s mission to find a chance to do his wire act between the towers. Though heai??i? ?s laughed at as crazy by his family and friends, two artistes, Annie (Le Bon) and Jean-Louis (Sibony), support him and help him practice. Even as more people start believing in him, he knows his dream act is fraught with danger. Inspired by the real life of Philippe Petit (who attempted the same on August 7, 1974), Levitt was trained by Petit himself for the movie. Taraat (Deshmukh), a minor league sound recordist and banjo player in Mumbai, strongly feels that the musical instrument isnai??i? ?t receiving the fame it deserves. Dedicating himself to this cause, Taraat records a tune at the Lord Ganesha festival and shares it with Christina (Fakhri), a friend whoai??i? ?s living abroad. Inspired by his composition, Christina comes to Mumbai to help him and his band get into the major league. But itai??i? ?s not as easy sheai??i? ?d imagined. Director Ravi Jadhavai??i? ?s first directorial endeavour, Banjoai??i? ?s theme is inspired by a Marathi film.